We can all relate to or remember playing this game at some point in our lives, mostly childhood. Even if you don’t, you don’t need me to tell you how important colours are to all of us, in our daily lives. There’s a story behind each colour, there’s a reason why you’re wearing white not black, there’s a certain feeling you get when you see an outfit in the colour that appeals to you. Where most of our lives revolve around colours like White, Black, Red and Blue, there’s a colour that beats them all, fair and square. Not many are aware of this, but then again, that’s what we’re here to do right? Make you aware of what we hope will make your life so much better!What might further increase your curiosity or interest you is that when I tell you that, the name of this extravagant colour is actually a wine that is produced in the region surrounding the Italian city named as the colour in Sicily. 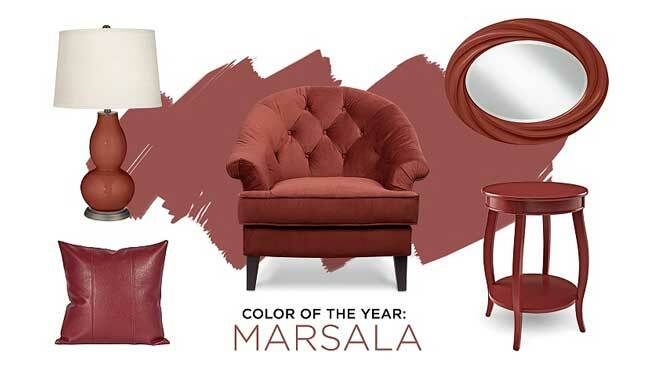 In case you haven’t guessed it yet, yes I am indeed talking about magnificent Marsala! This strikingly gorgeous colour now rules the world of fashion, beauty, interior and the exterior. But for such a different, varied colour to just barge into our wardrobes can be tough, and we totally understand that, but don’t worry, we are here to make it simpler for you, like always! 1. A gorgeous armchair, where mornings and nights can be spent alike, blissfully reading, sipping on that hot tea or coffee, depending on what you prefer. 2. If you’re a pillow person (who isn’t? ), then this new, sizzling colour is just the right one for you that will brighten up your bed and make you want to spend more time on it! Yes, even more than before! Similarly, you can also choose bedsheets, mattresses, curtains having this colour with different, cute, attractive patterns and designs to give your rooms a new identity…and also yourself! 3. If your new year’s resolutions was to be a little cleaner than the year before, then something’s got to change, something’s got to go. What I mean is, some colour has to make way for a Marsala desk table adoring your room. 4. In this same way, lamps, shades, mirrors, mugs and cupboards can be used with this colour, light or dark shade, with various and enhance your interior. 1. Putting in a really chic Marsala scarf, then some dangling and sophisticated earrings. Later, top it off with some really hot shades to complete the look. 2. The other time around, go for either a well fitted Marsala top or nicely shaped pants that bring out your body shape perfectly. 3. If you’re going out for a party, then be sure to wear a Marsala dress and match it with maybe black pumps or vice versa! You’ve got plenty of room for improvement and to experiment! Remember to keep the makeup minimal. 4. Accessories in this striking colour is also bound to overwhelm onlookers. Experiment with your looks and you’ll realize that this colour has more shades to it than you would have thought of! 1. Put on that hot shade of lipstick. 2. 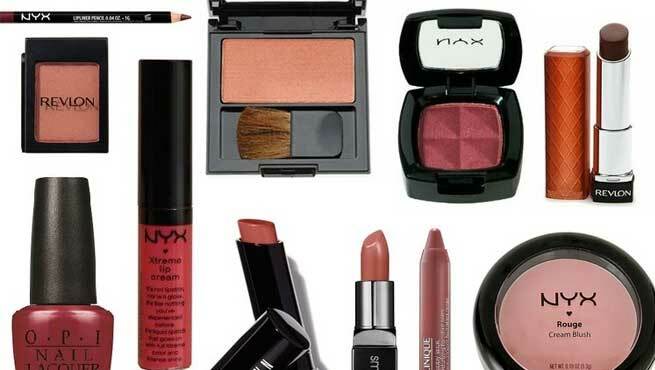 If you’re on the bolder side, go for dark eye shadow or maybe some light rouse to enhance your rosy cheeks. 3. You can always dramatize your make up but remember to coordinate it well with your outfit well. The best advice would be to keep experimenting to you get it right so you know what to do and what not to the next time.